Fethiye is a natural harbor city in the western Mediterranean. It's a very popular holiday center with its magnificent natural beauty and ancient Lycian towns. Oludeniz considered the most beautiful beach in Turkey is nearby, and it is a popular place to start a blue voyage yacht cruise. If all places and all seas were known by a colour, Fethiye’s colour would be turquoise. The word turquoise, a blue that has more than a hint of green, comes from the blue used in the Turkish tile work. The most beautiful shade of the colour blue came and settled on the waters of the Ölüdeniz (Dead Sea). Towards evening, around sunset, you catch such a wonderful turquoise you can never see on any other seas. If you call it blue you are wrong, if you say it is green it is not that either but both together. It is difficult to put it into words. It is best if you go and see it for yourself and be hit by a lightening bolt! 50 km from Dalaman, this area boasts some of the regions best beaches. Its stunning coastline means it is the centre and starting point for a number of yachting cruises and water born holidays. Fethiye is located on Turkey’s south west coast, just 40 minutes from the international airport at Dalaman, occupying its position on the south and east side of the bay. Rhodes is just across the sea from the bay - in fact when the light is just right, which is not very often, the evening lights of the Greek Island can clearly be seen from the promenade at Calis. 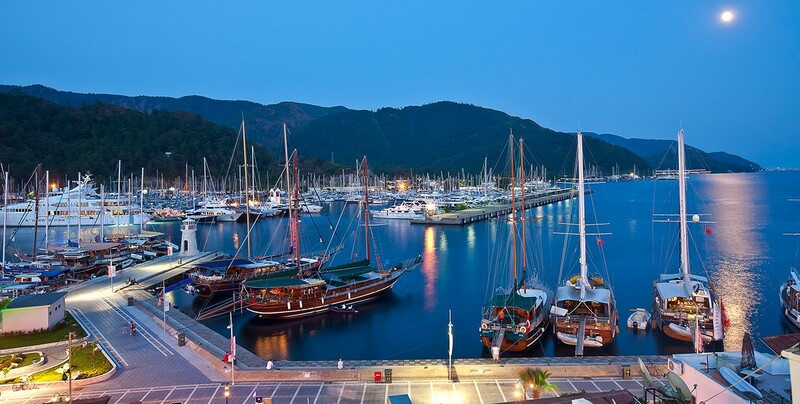 Fethiye has two Marinas. The first one is the municipal (local Council) marina which extends for maybe nearly a kilometer along the sea front and is home to many commercial Gulets and local fishing boats. You can also moor you craft here if you contact the harbour master at the bottom of Fethiye town near the Paspatur (Old Town) area. 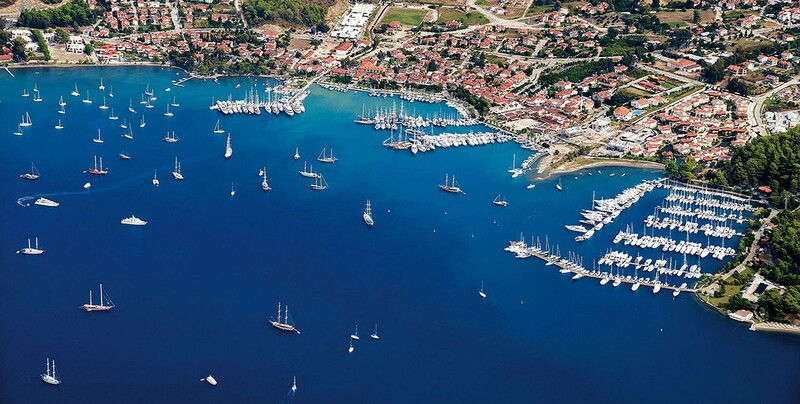 The second is the commercial yacht marina of the Ece Saray Resort and Marina. 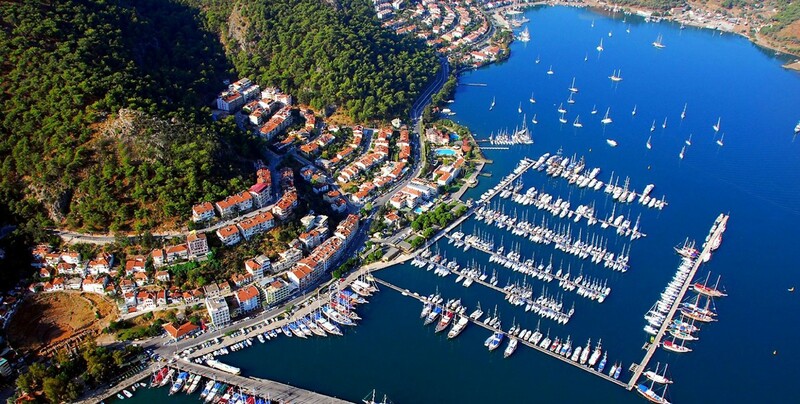 This is a relatively new Marina and 5 star hotel in a wonderful position near to the Karagozler district of Fethiye. Fastest way to reach Fethiye is by flights serving international Dalaman airport. Many direct flights are available from major airports in the World between April/May and October/November and less so between mid November and April. Also there are many airlines that have direct flights to Istanbul, Izmir and Antalya and domestic airlines have regular flights to and from Dalaman.The flight from Istanbul to Dalaman Airport takes about an hour. Coming from Greek Islands ; There are ferries between operated by ferry companies has daily trips between Rhodes and Fethiye throughout the summer. The same association also runs a hydrofoil during the summer months everyday. Between the end of July and the beginning of September, Turkey is extra busy with the height of summer bringing thousands to the coastal regions. July and August days are long and hot and the nights are warm. June, the beginning of July and all of September offer a better combination, with warm days and cool evenings. The water in September can be especially warm in places. The months of May and October offer excellent sailing conditions and the opportunity to go trekking or fishing. Fethiye has a Mediterranean climate. A winter average high of 15 °C (59 °F) and in the summer 34 °C (93 °F), with very sunny spells. Summers are hot and humid and winters are mild and mostly sunny. 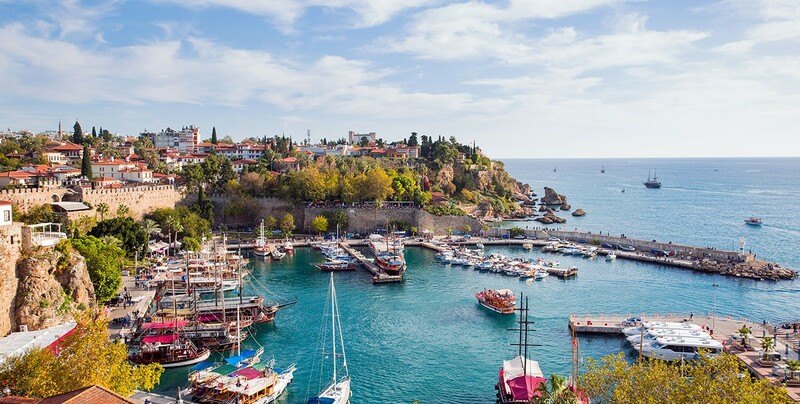 The town of Fethiye centres around an historic harbour where you can while away the hours in the boutique restaurants and shops that line the harbour. A bustling market town, the area is a shoppers’ paradise and at the Tuesday market you can buy anything from designer jeans to fresh tomatoes. Surrounded by the Taurus mountains this area is a mecca for paragliders who come from all over the world to experience the stunning scenery. The famous beach at Oludeniz, with its idyllic lagoon is one of the world’s most photographed beauty spots. Fethiye is now the centre of one of the primary holiday destinations in Turkey. As a location itself, a busy working town and harbour, but surrounded by a unique cluster of other popular destinations - each incredibly different yet only 15 minutes apart - from the tranquil mountain setting of Ovacik to the lights and nightlife of the party town of Hisaronu, the classic laid back feel of Calis Beach and the sheer beauty of the World famous Olu Deniz. Fethiye has developed from a tiny village and small time harbour port into a bustling and popular destination for visitors from all over the World - it is also a place where in more recent times people came to put down roots. Fethiye stands in the same place as the ancient city of Tehmessos which dates back to 400BC. Although the current population of Fethiye is only around 25,000 it is still a busy and popular tourist destination, especially during the sunny summer months. Fethiye was established as a Lycian town although everyone from the Romans and Byzantines to the Ottomans have left their mark on Fethiye throughout the ages. This region is in the heart of ancient Lycia and has many historic sites among which Kaunos, Tlos, Pinara, and Letoon are particularly noteworthy. It is a region of dramatic mountains, stunning beaches, cosmopolitan ports and rustic villages. Around Fethiye, there are important ancient cities of the Lycians. To the southeast of Fethiye lies Xanthos at Kinik village, an important capital of Lycians. Its setting is naturally adorned while Letoon, by Kumluova village and close to Xanthos, is also interesting. Letoon was a cult center during the Lycian period and remains can be seen of temples dedicated to Leto, Artemis and Apollo. Patara by Ovagelmis, Pinara by Minare, Tlos by Doger, Cadianda by Yesil Üzümlü, Sidyma by Dodurga, Karmilassos by Kaya, Pydnai by Kavadere, Araxa by Ören, Lydoe by Kapidag, Lissa and Arsada by Kayadibi, and Daedela by Inlice are other significant sites to visit in the environs of Fethiye. We're proud to represent the finest charter gulet yachts and have over 15 years experience in doing so. Our expert team ensures that charters are professionally handled from start to finish for the charterers.